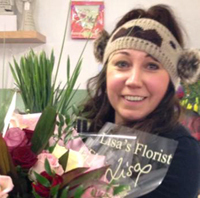 Our lovely Winner of the Valentines Red Roses, many congratulations to her, it’s definitely worth entering. Watch out for our new competition for Mothering Sunday on Facebook now. Enjoy our New Blog and take part with comments on our story’s and top tips. This blog is about all aspects of life, funny or sad so please take part and enjoy reading. To enter our competition to WIN a beautiful hand tied bouquet just Subscribe to our blog! Throughout the year we have some great competitions on our Facebook page and these are some of our winners. Please take part and join in..and thank you to everyone for entering. Always great prizes!